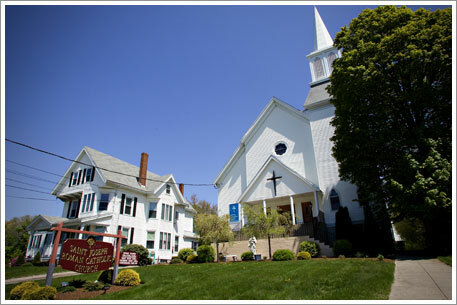 St. Joseph Parish is a welcoming Catholic community in the small South Shore town of Holbrook, Massachusetts, with a rich history of faith-filled worship of the Lord and a mission to bring Christ to the world through our worship, the sacraments, our school, and our families. All are welcome. Weekdays: Monday and Friday - 9:00am St. Michael & Wednesday and Thursday - 9am St. Joseph. There will be no Morning Mass on Tuesday and Saturday at either parish.